How can a food be so inexpensive in the supermarket but so costly both to our well-being and to the environment? It’s because the economic groundrules hide the real cost. 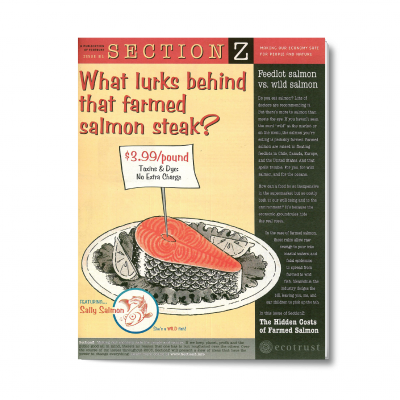 In the case of farmed salmon, those rules allow raw sewage to pour into coastal waters, and fatal epidemics to spread from wild fish. Meanwhile, the industry dodges the bill, leaving you, me, and our children to pick up the tab.